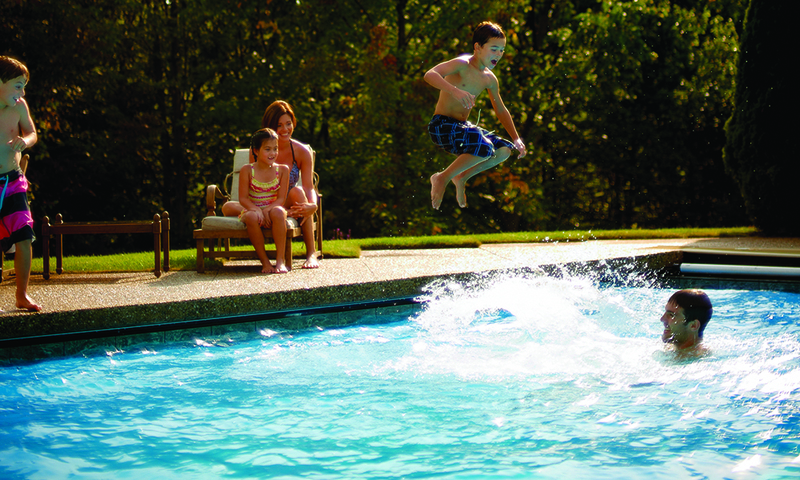 Liner replacements are second nature at Family Pools. 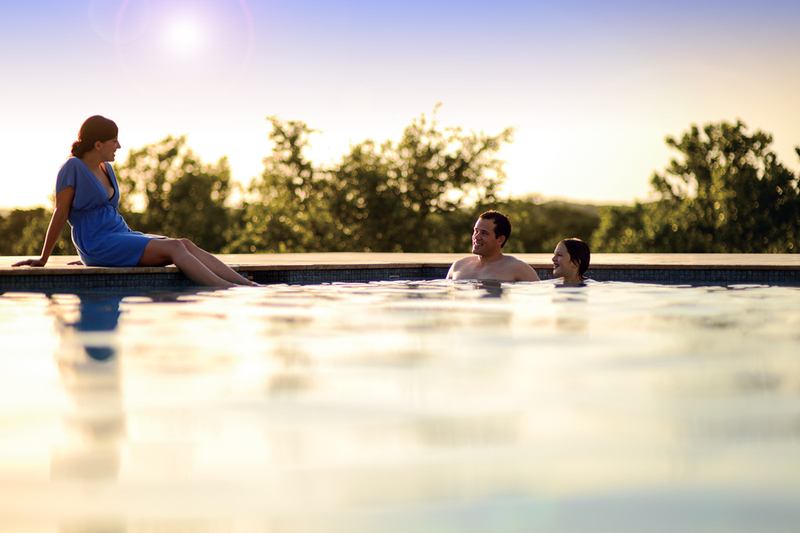 We are eager to help you update your pool to your liking. 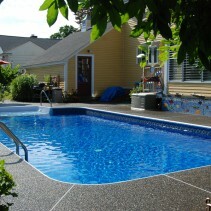 Mastering the art of vinyl pool liner replacement takes dedication, know-how, and experience. Our two masters have them all. Were willing to bet, with two decades under their belts, Dave & Angel can do them with their eyes shut! And if experience counts, let’s not forget Chris. Chris heads up our Liner operation and has been with Family Pools for nearly 30 years. We cannot impress upon anyone how challenging it is to handle and competently complete as much work as this department does under the challenges of the short and hectic New England swim season. It may look simple…drain the pool, pop out the old liner and pop in a new one. Like most things in life though, it’s hard work to make it look easy. There are a host of miserable issues that can pop up. Like what you ask? Well, for one…ground water conditions. Two, how to handle those old pool structures. Three…have you ever seen a circle that looked like an egg? Need we mention not all pools are built exactly as designed, not necessarily square or level. These challenges, as well as, that unexpected weather are simply…well, routine. Our crew is well equipped to handle these and any other challenges your job may offer. 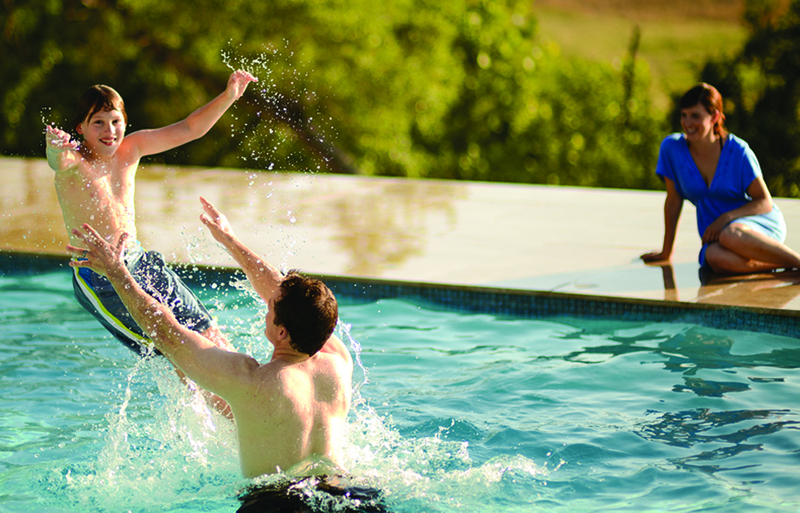 Included with your Family Pools liner change are many services you may not realize. We’ll drain your pool, remove the old liner, and remove the old foam padding, if any. Next, cleanup the inside of the pool, re-trowel and smooth out the existing pool base. We’ll pressure test all the plumbing lines including the main drain line, re-foam the walls, install the new liner and replace old faceplates if they re available. Phew! Did you get all that?! You’ll be stunned when you see how your pool looks as good as new! We offer three convenient ways to get more information. Click here and give us a little bit of info on what you’re thinking or feel free to stop in to check out the many liner choices. Lastly, call Chris for a brochure at (978) 688-8307 ext. 18. Please be patient if he doesn’t answer the phone at the time of your call, he may be out measuring. When the time comes, Chris will measure your pool to get the exact fit too…a reflection of perfection! Please read our Options & Ideas under Restoration for some other possible ideas. Do you want to add steps? Now is the time. Don’t settle for drop-in steps that need to be removed every winter. Let us install steps internally that fit the liner like a glove. Do you wish you had a hard bottom pool instead of that stone dust with all those divots? We can do that…leave the divots on the golf course. Is it time to update your equipment or winter cover? We’re here for you. In fact, we offer $100 off your liner and $100 off your safety cover if you buy them at the same time.